The following article is by Carter Moss who is from Community Christian Church in Chicago. 1. 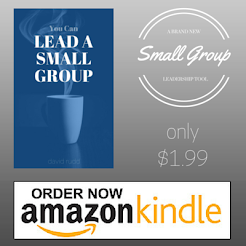 “They are probably already in a small group.” – Don’t assume this! I’d say currently at CCC, based on our stats, only around 50% of our attenders are currently grouped, so there’s a very good chance that the people you talk to aren’t. And there’s a good chance that it’s because they’ve never been personally invited. Think about the worst-case scenario here: you invite someone to group, they’re already grouped, so they walk away feeling incredibly affirmed that someone else wanted to be in group with them too! 2. “We make lots of asks for people to join groups from stage, so we don’t really need my personal invitations.” – This is a huge myth! Despite the fact that us pastors can make extremely inspiring, emotional, challenging asks from stage (ok, maybe not always), we really find it to be one of the least effective ways of grouping people. By far, we group way more people through personal invitations. No matter how outgoing you are, how often are you willing to just pick a group off a list, drive to someone’s house you don’t know, and walk into a group full of people you’ve never seen before? Think of how different it is when you get to go with someone you know. 3. “It’s just not my personality or spiritual gift, to invite someone like that.” – Let’s get real here—at most churches, except for a few exceptional people who truly have no fear and all confidence in talking to people—meeting and inviting new people just does not come naturally to the other 98% of us. But aren’t you glad someone stepped outside of their comfort zone to include you? Wouldn’t that mean so much for you to do that for someone else? An invitation to be included in something is about the least scary thing you can ask someone, because what you are really communicating is “I like you. You are accepted here. You are someone that me and my friends would love to be in community with.” Most people will walk away affirmed by the fact that you stepped out of your comfort zone to invite them! As we approach summer, be thinking about who you may need to invite to join your group in the fall. Use the summer as a relationship building time so that the transition can go easier!